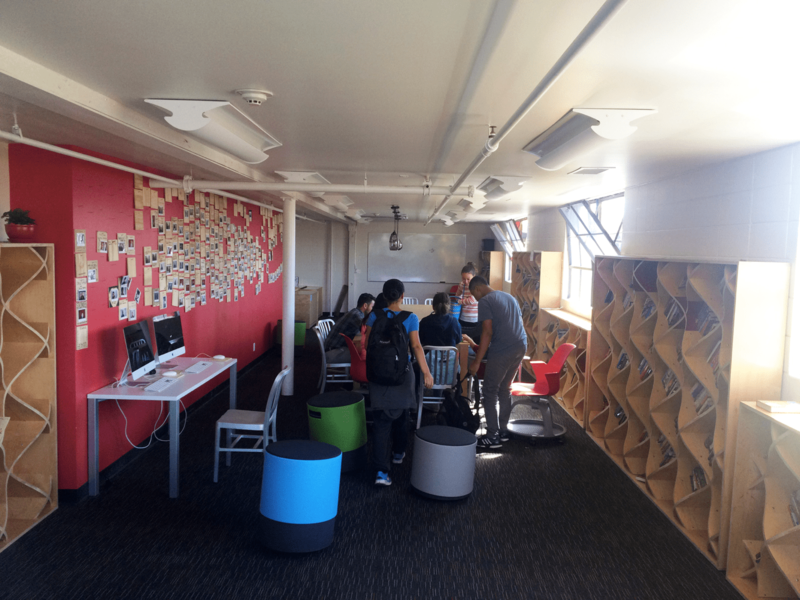 In 2013, we expanded our Studio H program to include 106 8th graders from REALM Charter Middle School. As we do with every project, we asked our 8th graders, “What does your community need?” Their response was, “Our school needs a library.” As we dug deeper, it became clear that students wanted a place that wasn’t just filled with books, but a place of discovery, exploration, and even relaxation. 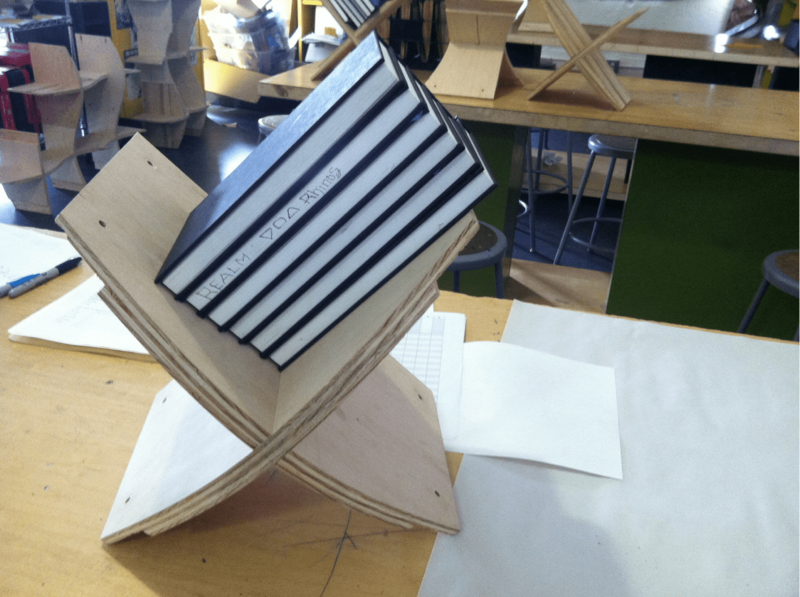 Through a process of modelmaking, field trips to local libraries, research and prototyping, our students settled on the design of a single “building block” that could be assembled with infinite combinations. 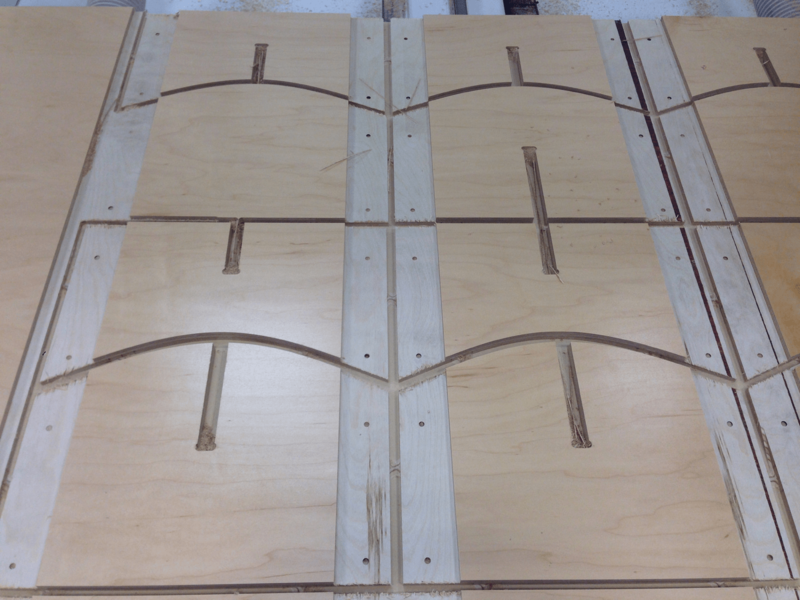 This unit was comprised of 2 interlocking CNC-milled pieces of plywood that formed an X-shape. The concept came from one student who articulated, “In algebra, we are learning that X is the unknown. This library is the place you go to discover what you don’t know. 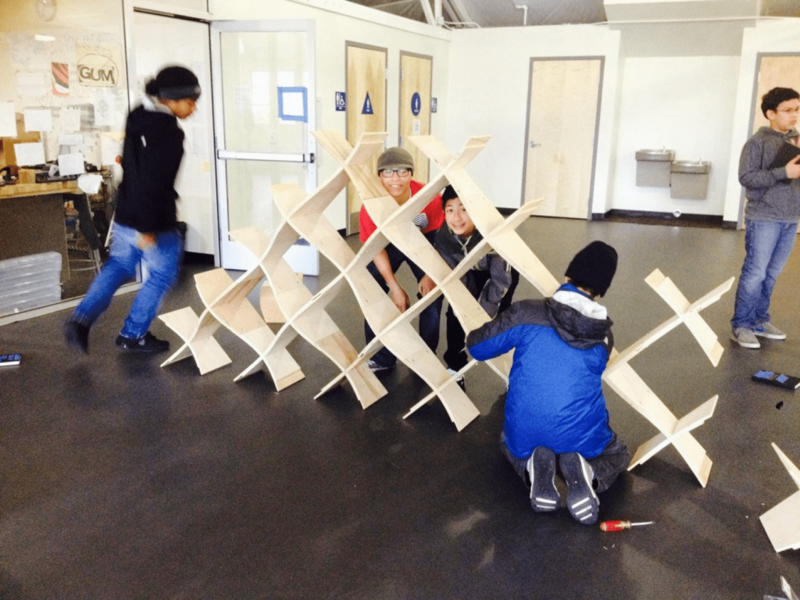 So it is the X-Space!” After a successful Kickstarter campaign (607 backers and $78,000) and many hours spent CNC-cutting over 500 pieces, our students assembled and built-out furniture, shelves, and tables using the X-modules. 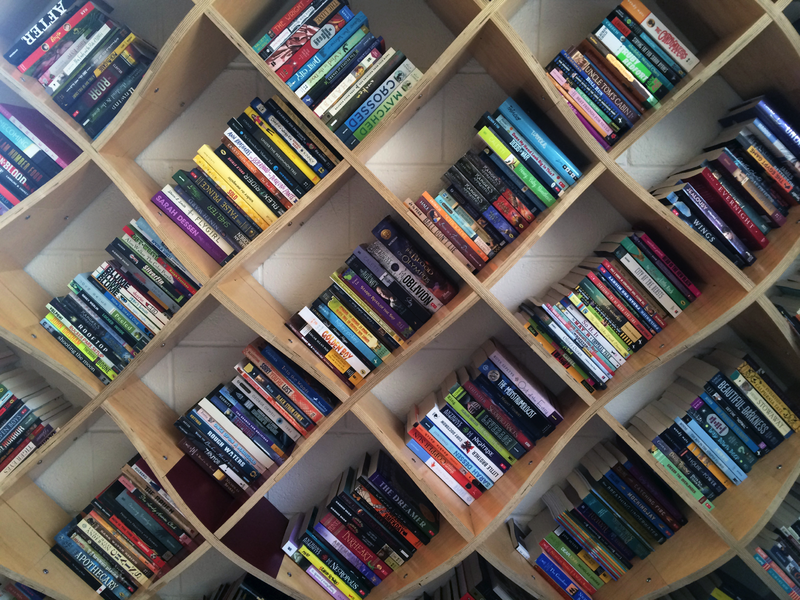 The X-Space library is now open with over 5000 books, and continues to be modified and re-discovered as a place of learning by all middle school students at REALM.